Having dogs I am always looking for something that can help make my life easier. I already have different leases that I can walk my dogs with. I have some I can buckle my dogs in a car to go for a ride. What I needed was something hands free that I could walk my dogs with. I did some research when I came across an ordered the hands free leash by Purr-fect paws. I ordered this leash for one reason, but helps in two different ways. 1. 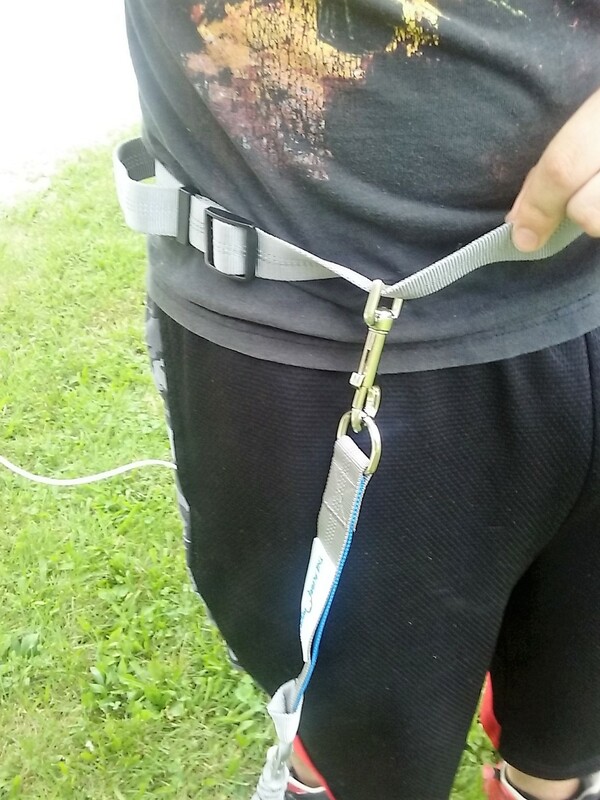 I wanted a leash that was hands free for when I walked one of my dogs. I could now concentrate using my cane while being hands free of a leash. As my dog walked along my side. 2. For my son to be able to run with one of the dogs being hands free. The leash is made of a shock absorbing material. Like a bungee. It comes with dual handles if you wish to use your hands. One handle is by the hip to guide the dog your way. The other is for the collar handle to have more precise control. The leash is made of a reflective stitching that makes you visible during evening or late night walks. Plus, the company is willing to give a free replacement if the leash rips or breaks away. The leash is made of soft material that can fit around the waist. The clip is easy to use to hook it in place. Plus, hook the dog to the leash at the same time. This hand's free leash allows me to have control of my dog on walks again. This is important to me as I am disabled. As it gives me a little bit of freedom back to something I enjoy, such as walking my dogs. 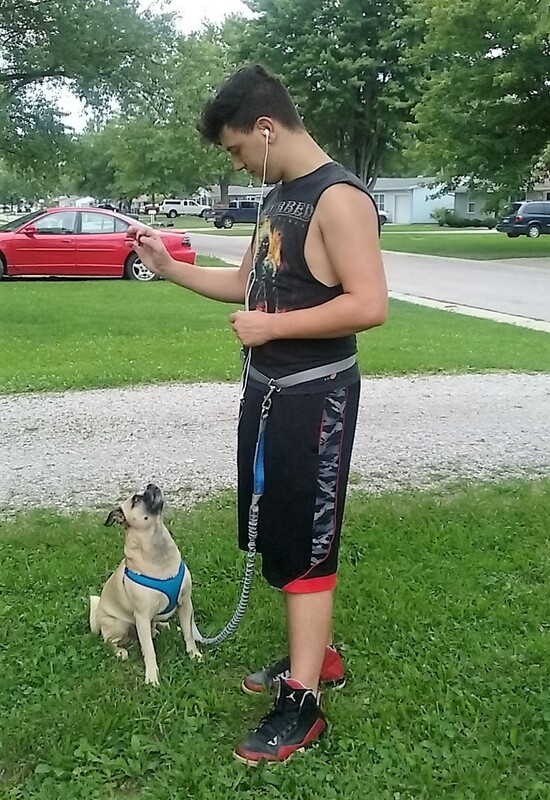 I took a short video displaying my teen son practicing walking with my dog getting ready to take on a run. As we do re-enforced training each time before a walk. It lets my dog know what he needs to do. Plus, gives us the chance to correct any issues my dog may have with walking. Do you use a product that helps assistant you in something as simple as walking? I received this product for free or a deep discount. In exchange for a honest and unbiased review. To learn more about receiving products for free or a deep discount click the word HERE. I didn't know such leashes existed. I don't have a dog, but I'm wondering if this would make it easier to take a dog on a photo walk, leaving both hands free to take pictures. Oh sure does help to give hands free to take photos. I didn't know such leashes existed, either. They would be great for the elderly. Yes, the elderly, disabled and anyone who wants or needs to go hands free. Such as a mom taking a walk with her kids. As she is pushing a stroller. What a wonderful idea! I need one of these so I can handle my beagle better. Thank you for sharing this because I did not know they made anything like this. You are very welcome. It would also help for those training or re-enforcing potty training. Like a rescue you dog that you need to have by your side to make sure it doesn't pee everywhere in the house. 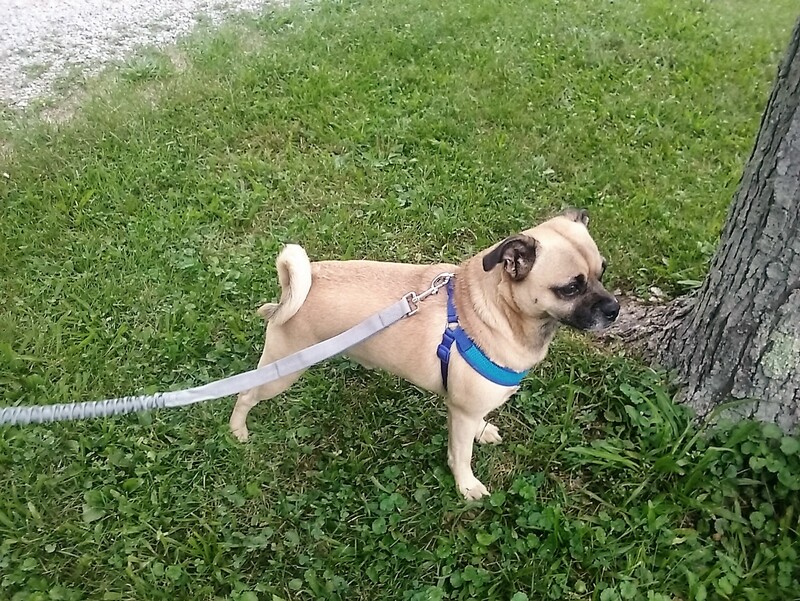 When it acts like it will need to go pee you walk it outside. there are many uses for this type of leash. This is a great idea, I know a few people who could use one or two of these. The hands free leash has come in handy for my family. I love the hands free feature! The hands free option allows for so many different things while walking the dog. What a great idea, Sandy...I haven't had a dog after she died 5 years ago but if I get another one- this is fabulous! Had a hip done so would be great for walking a dog after I recovered. Yes, this would help you to be able to walk a dog if you do decide to get another. It has came in handy when walking one of the dogs for me. Since I have issues walking myself.